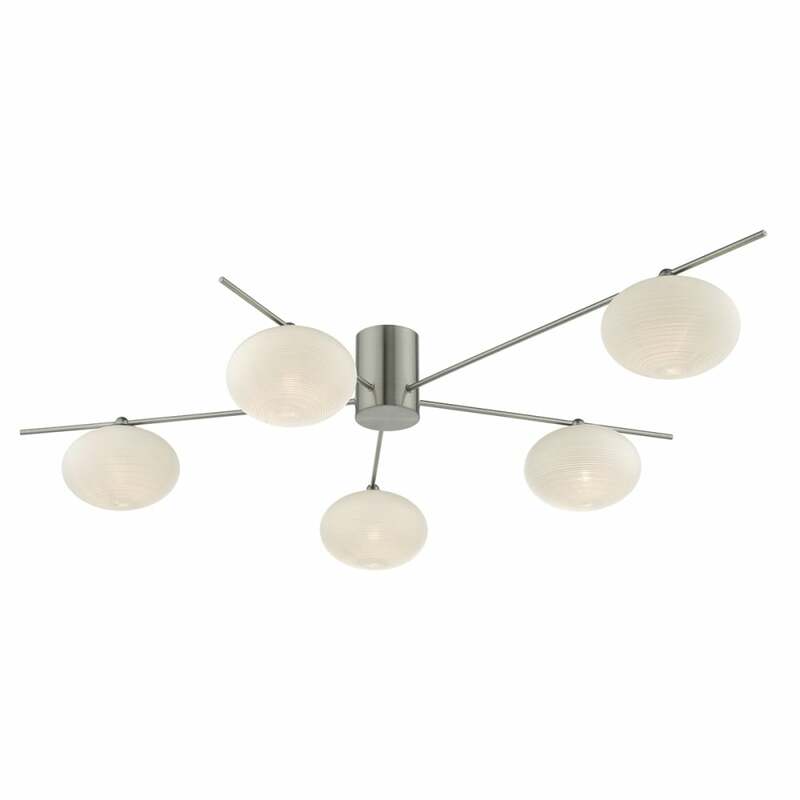 A contemporary and minimalist design semi flush ceiling light, this 5 light fitting comes in a satin nickel finish with 5 arms mounted to a narrow centre body. With spiral textured opal glass shades this semi flush ceiling light is perfect for lighting in rooms with low ceilings and would fit in well with any modern setting. This light is also suitable for use on a dimmer switch providing the bulbs used are also dimmable.